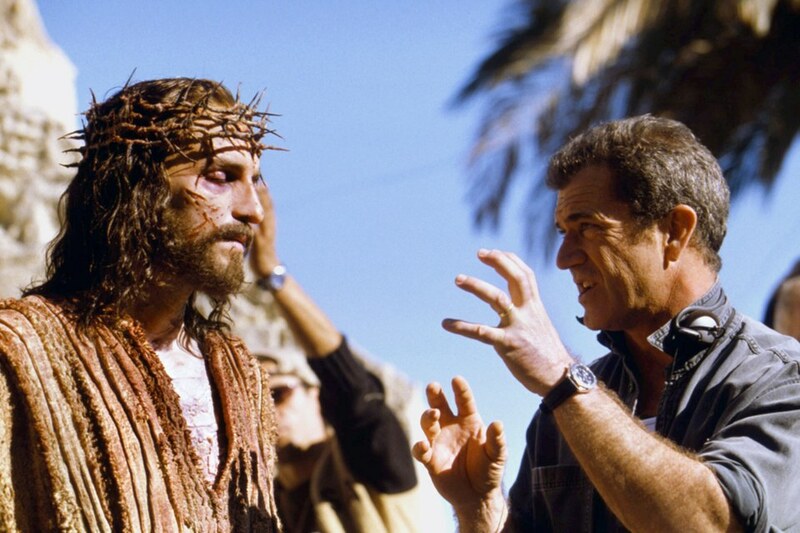 Every Easter my wife and I try to rewatch Mel Gibson’s The Passion of Christ, so I was pleased to read that Mel Gibson was going to make a sequel to his powerful and brilliant film, with Jim Caviezel once again portraying Jesus. In 2004 I wrote a column about the film for The Orchard Press Online Mystery Magazine, where my Crime Beat column and crime fiction appeared. I recently saw Mel Gibson's The Passion of the Christ. The film is powerful. I can't think of another film that has so touched me. Gibson's film, based on the Gospels and history, also offers Gibson's artistic symbolism. Biblical movies were a part of my growing up in the 1950s and the 1960s, as were westerns, comedies, horror and crime films. I was raised Catholic and the Biblical films, from Ben-Hur to The Greatest Story Ever Told, provided me with far better depictions of my religion than the dry readings I was taught at Catechism. (Later in life, I also very much liked the Franco Zefferilli's TV mini-series Jesus of Nazareth). I've read theology, philosophy, history, novels, and the original source material - The Bible. But the old movies left an indelible mark on my mind and my soul. Film is a powerful medium and Gibson's film will no doubt be with me all of my life. As widely reported, Gibson sunk $25 million of his own money into his pet project, the portrayal of the last hours of Jesus. Gibson said he wanted to realistically show the brutal torture and murder of Jesus Christ. With the bloody violence, dialogue spoken in the original languages of Latin and Aramaic with subtitles, Gibson took a huge chance on this film. His gamble - or, one might say, his faith - appears to have paid off. The film, which no one in Hollywood originally wanted to touch, was number one at the box office for three weeks running. To date, the film has made $315 million and with Good Friday and Easter coming up, the film is expected to earn much more. The film is expected to become one of the highest grossing films ever. "This is a story about love, hope, faith and forgiveness," Gibson told reporters. "Jesus died for all mankind, suffered for all of us. It’s time to get back to that basic message." Adding that he thought the world was going "nuts," Gibson noted that we could all use a little more love, faith and forgiveness. In a time of lessening morals, family ties and personal responsibility, as well as suicidal mass murderers acting in the name of God, I'm inclined to agree with Gibson. Despite the strong public approval via the box office, there has also been much criticism and controversy surrounding the film, from cries of anti-Semitism to his use of graphic violence. The film is indeed violent, but I didn't see anti-Semitism in the film. In the film we see Caiaphas and the other Jewish leaders judging Jesus and then taking him to the Roman governor, Pontius Pilate. Pilate, as we all know from the Gospels, washed his hands before the Jews and then had Jesus crucified. But Gibson also depicts sympathetic Jews, like Simon and Veronica who came to Jesus's aid. And of course, Mary and Jesus himself were Jews. As Gibson told ABC News' Diane Sawyer, there were no Norwegians in evidence during Jesus' crucifixion, only Jews and Romans. He also disagreed with the assessment that his film will incite anti-Semitism. After viewing Shindler's List, Gibson told Sawyer, he didn't go out and beat up Germans. Mankind, Gibson told Sawyer, killed Christ. The film is truly violent, but I think the violence was necessary. Prior to his crucifixion, Jesus was "scourged" with a particularly nasty weapon called a flagellum, which is a whip with leather throngs holding pieces of metal and bone. In many cases, Ive read, the victim died from the scourging and never made it to the crucifixion. Gibson shows us Jesus' strength, authority, and grace. I particularly like the way Gibson portrays Jesus' confrontation with Satan at Gethsemane. Satan, as many critics have noted, resembles the bald, female Irish singer Sinad O'Conner, and he appears on the sidelines throughout the film. "The Prince of Darkness," Gibson suggests, is always close at hand. After praying on his knees for guidance and strength, Jesus stands and forcefully stomps the symbolically evil snake that Satan had released from his cloak. Jesus is no meek hippie in this film. Jesus also stood strong and dignified when facing the powerful Roman governor. Beaten, bound and bleeding, Jesus tells Pilate, "You would have no power over me if it were not given to you from above." Jesus changed the course of history. 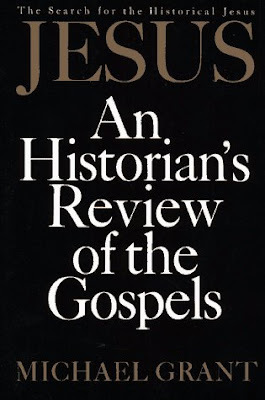 Michael Grant, the author of The Twelve Caesars and History of Rome, wrote that millions of men and women have found Jesus' life and teaching overwhelmingly significant and moving. "The most potent figure, not only in the history of religion, but in world history as a whole, is Jesus Christ: the maker of one of the few revolutions which has lasted," Michael Grant wrote in Jesus: An Historian's Review of the Gospels. "His was the most dramatic life ever lived." Gibson, the director and star of Braveheart, gave us a superb film about Jesus. 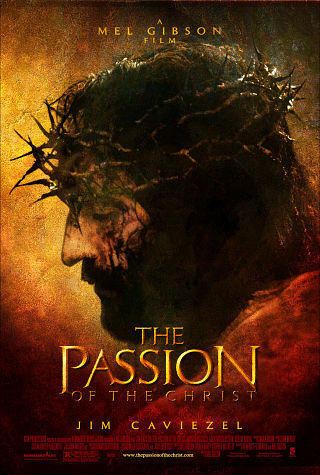 The Passion of the Christ is a fitting film for our age, I think. With terrorism and crime on the rise worldwide, I believe we need to see, hear, and feel how Jesus suffered and died for our sins. Widely reported in the press was the case of a couple that fought with each other after seeing Gibson's film. Stating that it was the dumbest thing they've ever done, a Georgia couple admitted that they argued and fought over a theological issue and ended up stabbing and assaulting each other. The deputy sheriff who arrested the couple told reporters that he thought the couple missed the point of the film. Millions of us did not.